Tourist flow to Azerbaijan in summer 2018 will increase compared to the same period last year, according to Chairman of the Azerbaijan Tourism Association Nahid Bagirov. He noted that the major tourist flow to the country is expected from the Arab countries. “Many hotel rooms have been booked in the country, mainly in the regions, and resort zones such as Gabala, Shaki and Guba are full. As in previous years, tourists come mainly from Arab countries this year,” Bagirov told Trend on July 10. He added that Azerbaijan is becoming more attractive for tourists coming from Europe, Asia and Americas. The Association also expects a significant increase in the number of tourists from Saudi Arabia as several direct flights between the two countries have been launched. Speaking of the main directions where Azerbaijani tourists travel, Bagirov mentioned Turkey, Georgia and Montenegro. “The main direction for Azerbaijani tourists traveling by plane is Turkey, especially Istanbul, Bodrum, Izmir and Antalya. Then the European countries come, mainly Montenegro, which enjoys direct flights with Azerbaijan,” the Association chairman noted. As for the tourists traveling overland, the main flow will visit Georgia this summer. 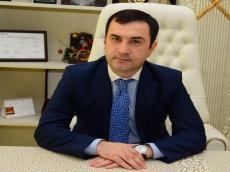 This is primarily due to the fact that hotels and leisure centers within Azerbaijan are already full, and Georgia is the closest country to travel to, Bagirov said. Presently, Azerbaijan is engaged in the efforts to diversify the non-oil economy, and tourism industry is one of the promising sectors to contribute to the achievement of this ambitious goal. Tourism in Azerbaijan is developing rapidly, since the government carries out comprehensive activities to support the flow of foreign visitors. In 2017, about 2.69 million tourists visited Azerbaijan, which is 20 percent more than the indicator of 2016. Majority of the tourists came from Russia, Georgia, Iran, Turkey, the UAE and other countries. It is noteworthy that for six months of this year, foreigners visiting Azerbaijan carried out transactions in the amount of 513.7 million manats ($301.3 million) via their bank cards. Thus, the volume of transactions increased by 21 percent compared to the same period last year. In general, Azerbaijan has improved its tourism performance in the Travel and Tourism Competitiveness Report 2017 prepared by experts of the World Economic Forum (WEF). The country is placed 71st among the most improved countries, thus rising 13 spots in the global ranking.